A fire resulting from a chemical reaction broke out today in a classroom at Cal State Long Beach, injuring one person and prompting evacuations. Some lithium in solid and liquid forms exploded in a beaker and caused a fire at about 1:20PM in Building 86 at the university at 1250 Bellflower Boulevard, according to the Long Beach Fire Department. 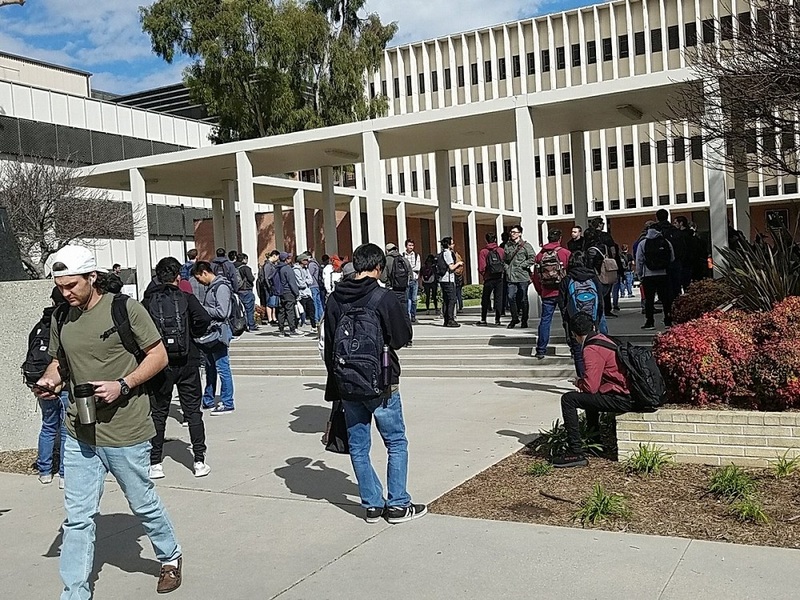 School officials said the incident took place at the Engineering complex, which was safely evacuated following the fire on the first floor of the Engineering and Computer Science Building (ECS). A man—identified as a professor—was treated at the scene for an unspecified injury and was in stable condition when taken to a hospital, LBFD spokesman Jack Crabtree said. At least two other people were being assessed at the scene, Crabtree said. The fire was knocked down by 1:50PM, but crews remained at the scene ventilating the building, which was evacuated, and hazmat specialists were assessing the situation, he said. All classes held in an Engineering complex building are cancelled for the remainder of the day, according to university officials. The Engineering complex includes the following buildings: EN2, EN3, EN4, ECS and VEC. Only the ECS building remains physically closed. Those who need to retrieve personal property from the ECS building, contact University Police at (562) 985-4101. Medina Kabir contributed to this report.